I think that some of us have that area of the house that we wish people just would not notice. An item or thing in the house that is an eye sore and we are just not sure what to do with it. 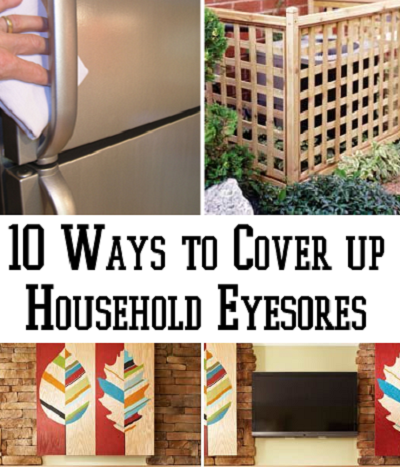 Here is a fantastic tutorial on 10 ways to cover up those household eyesores. Have a look through this list as I am sure that yu will find something that will work for you.